The Faculty Club was established in 1923 with the assistance of the Board of Governors. Its first premises were located on University Street and several of the academic staff became members. 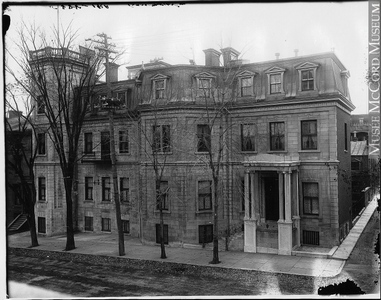 In 1935 the club moved to its present location in the Baumgarten House on McTavish Street, former home of Sir Arthur Currie. At this time, membership was expanded to include women. Until the 1960s, a few of the male staff members lived in the Club. In the 1970's, many non-academic staff became eligible for membership. Learn more about the origins of the club.